The presidency has denied reports that Governor of Jigawa State, Alhaji Sule Lamido informed President Goodluck Jonathan that a serving minister recently collected a bribe of $250 million from an oil company and has refused to act on information. 'We have noted with much regret, the grossly irresponsible, false and mischievous claim by the Governor of Jigawa State, Alhaji Sule Lamido that President Goodluck Jonathan has refused to act on information that a serving minister recently collected a bribe of $250 million from an oil company. The Presidency views the patently bogus allegation reportedly made by the Governor in a radio interview yesterday as an unacceptable and callous attempt to unjustly impugn the integrity of President Jonathan and cast aspersions on the seriousness of his Administration's efforts to curb corruption. 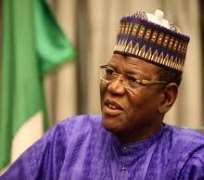 We abhor Governor Lamido's descent to the unscrupulous, reckless and thoughtless peddling of arrant falsehood in a puerile effort to score cheap political points against President Jonathan for personal and sectional political gains.